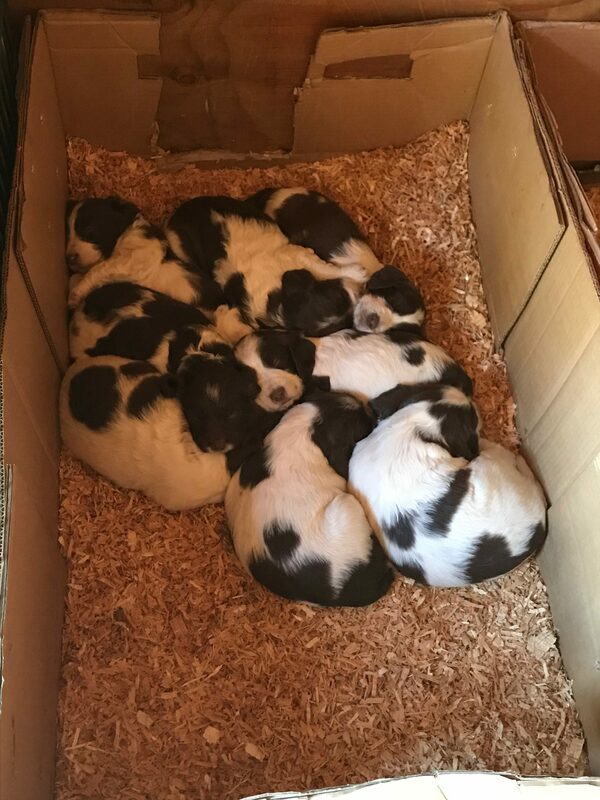 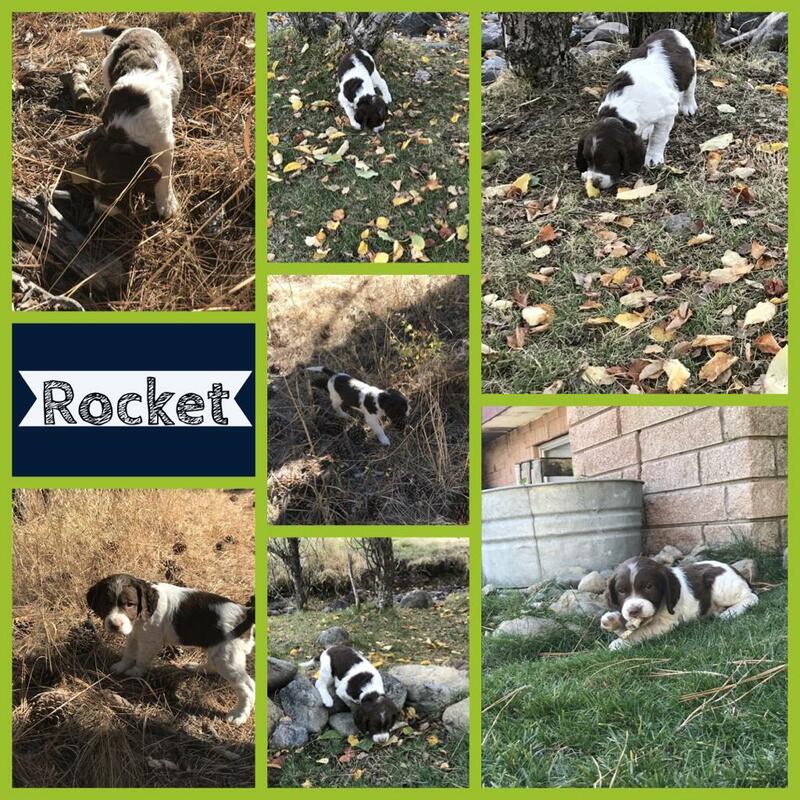 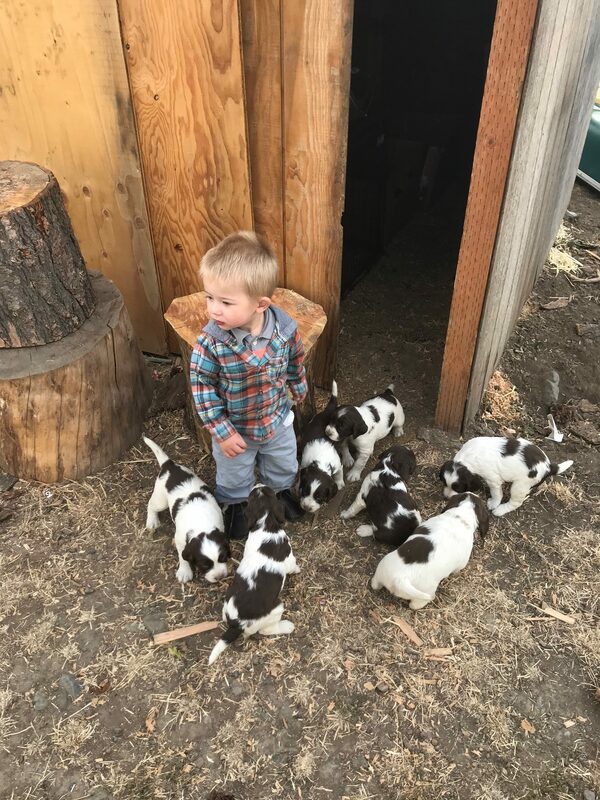 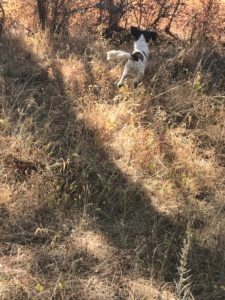 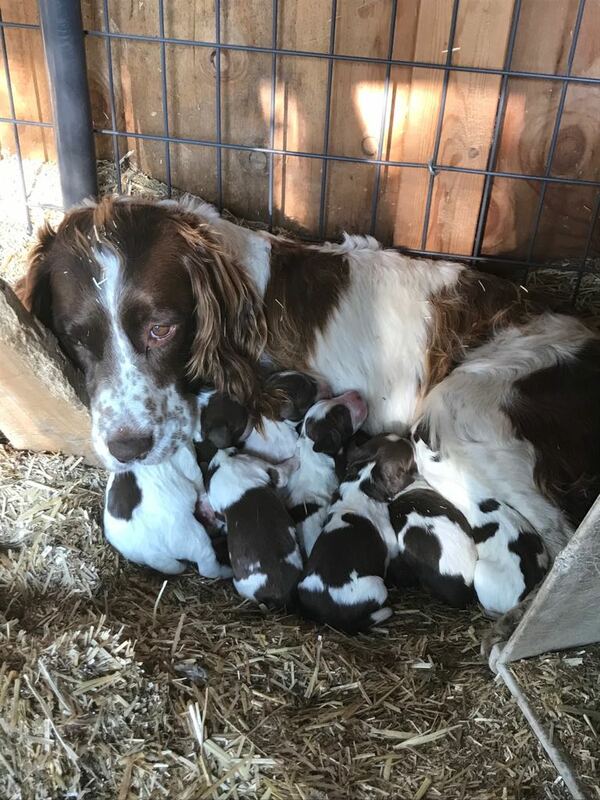 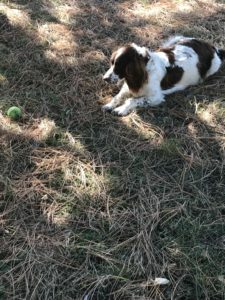 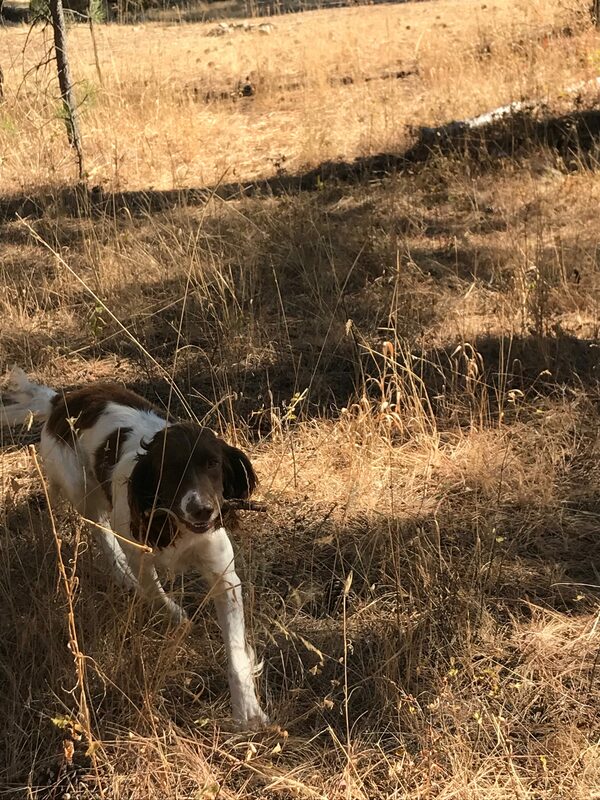 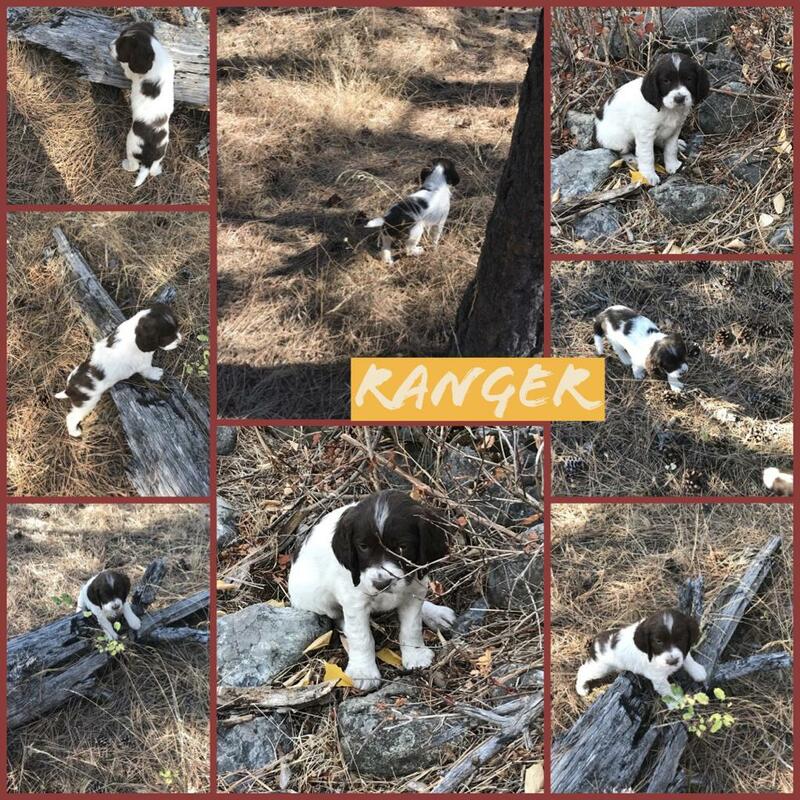 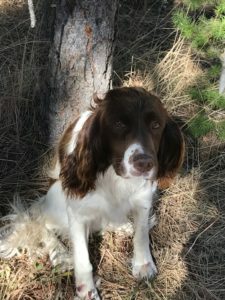 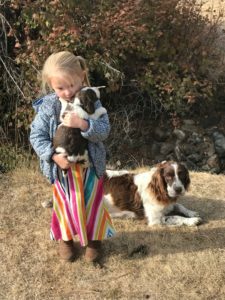 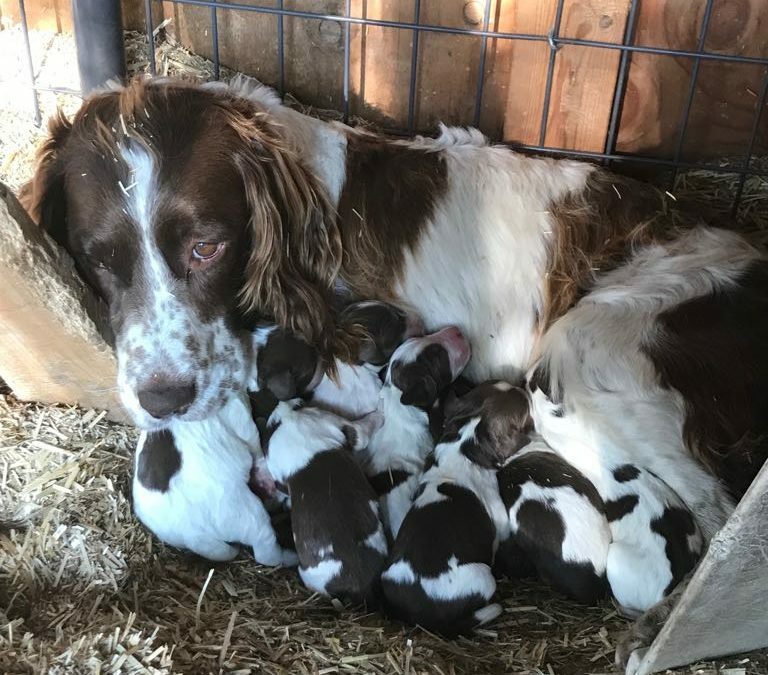 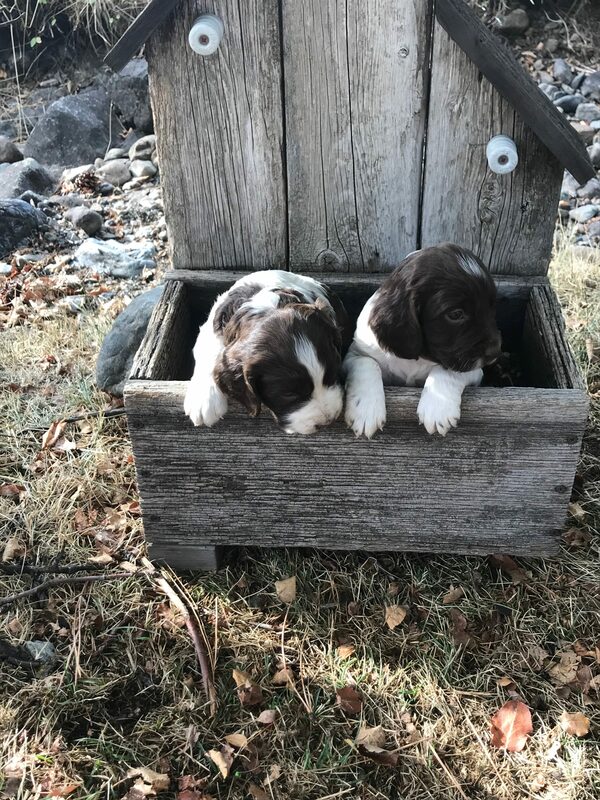 We are excited to announce we have a new litter of English Springer Spaniels in Oregon. 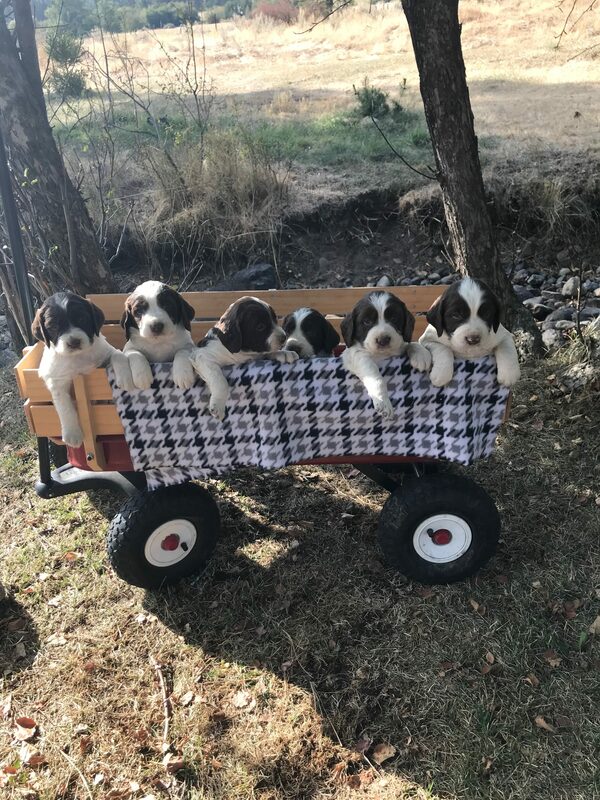 They are ready for pick up after 8 weeks. 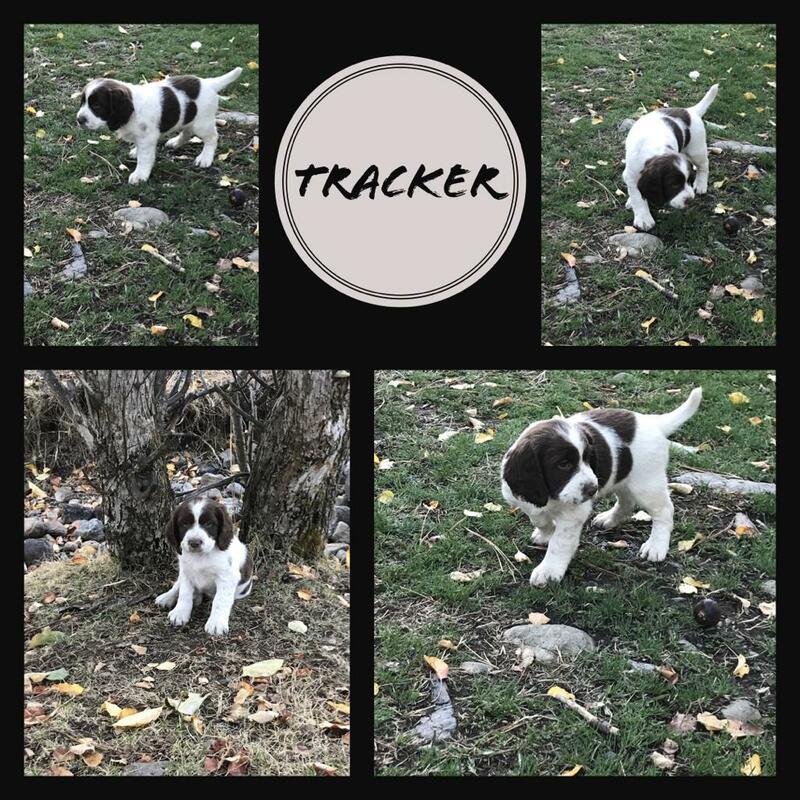 Come by or look through our pictures to see if you can find your ideal Springer Spaniel hunting dog, show dog or family pet. 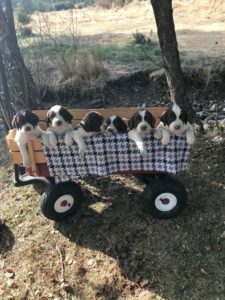 This is a unique group of talent! 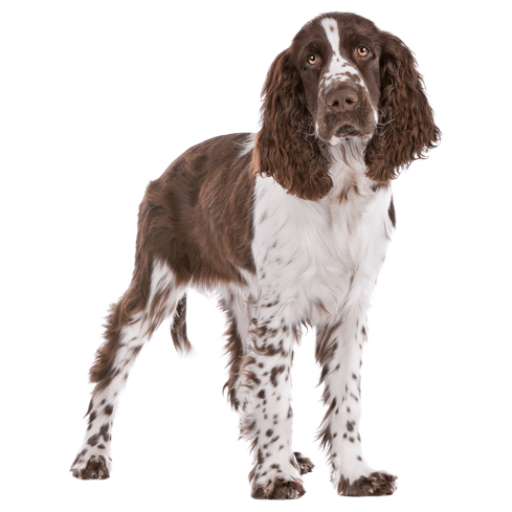 Not that I am aware of but I would have to look at the perigee for millers dogs to know for sure. Are there any females with liver and white coloring available? 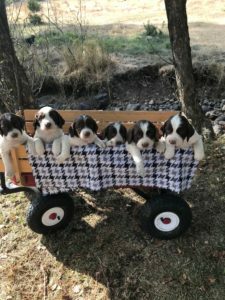 Do you have any puppies at this time? 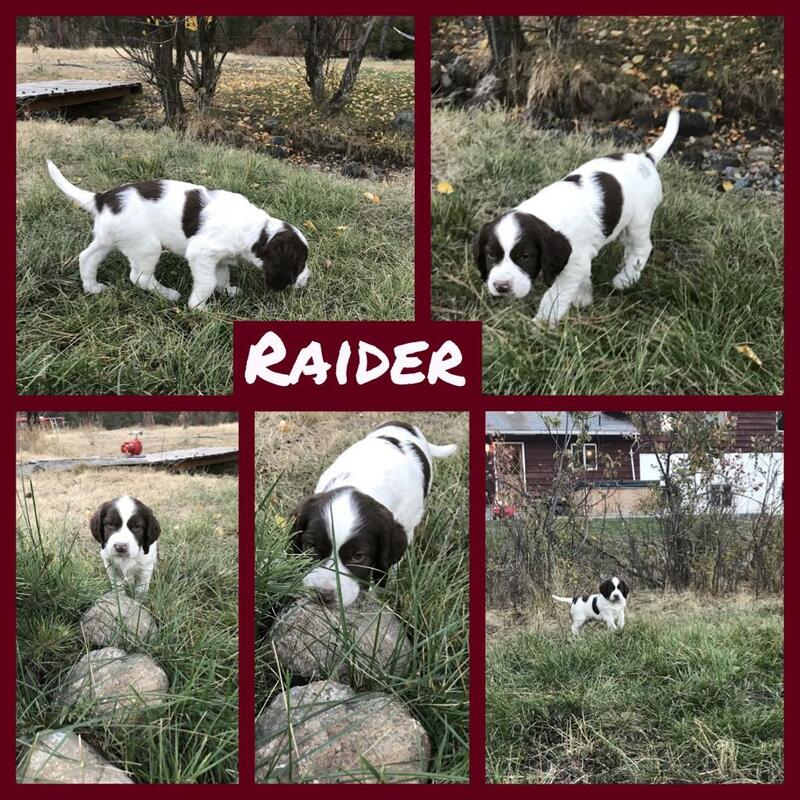 We brought Raider home 3 months ago. 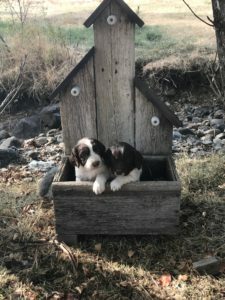 He’s been a delightful addition to our family. 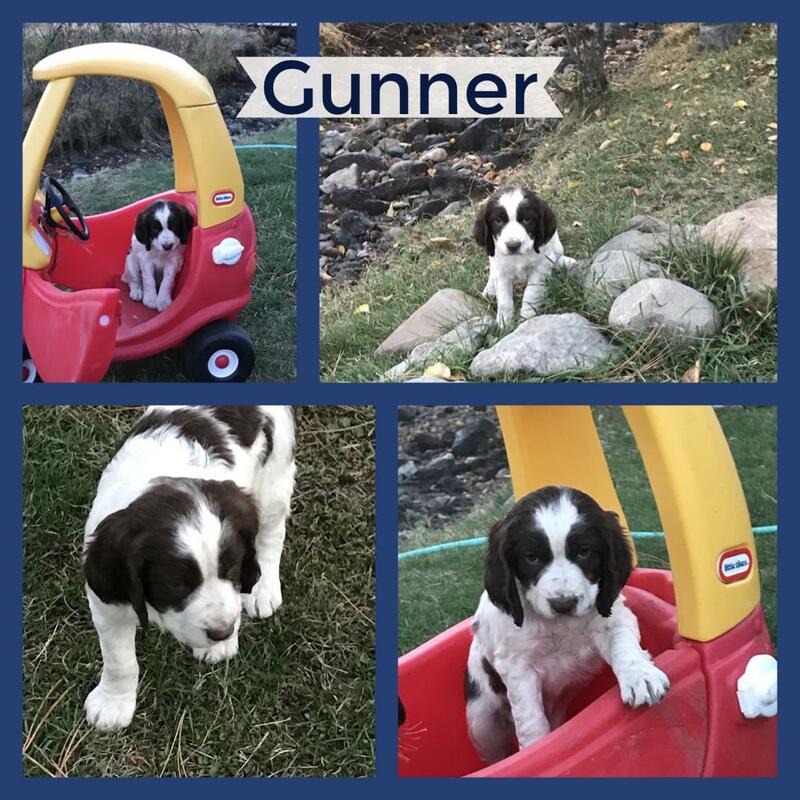 He’s a healthy, happy, smarty pants bundle of energy. I highly recommend this kennel to anyone looking for quality animals. 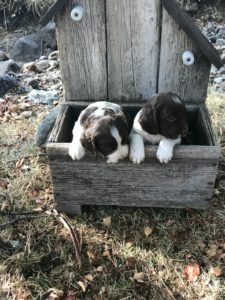 Toby and Veronica were extremely easy to work with! Do you still have any female puppies available? 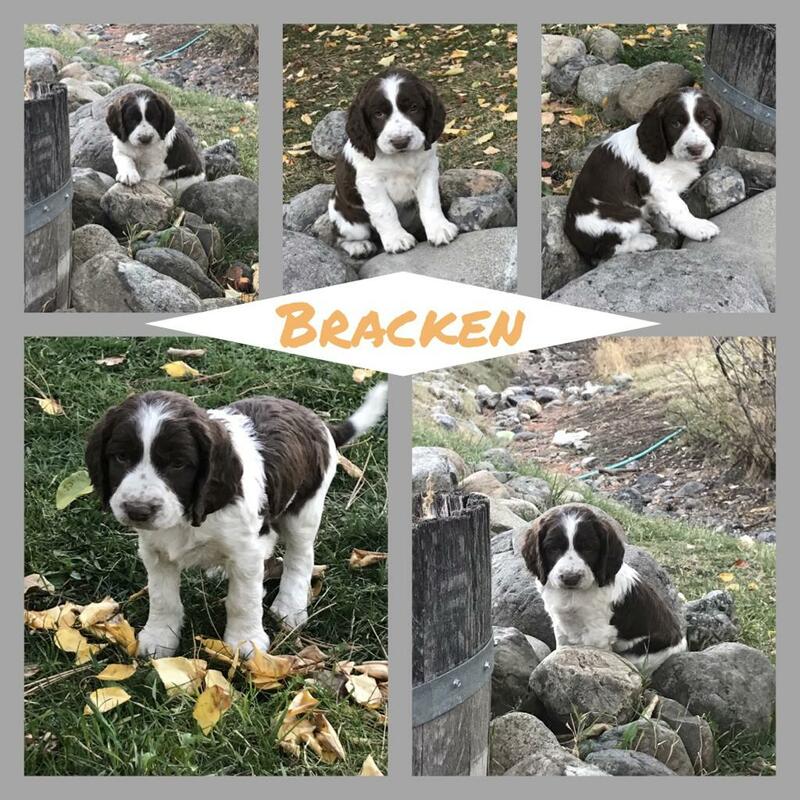 Is Braken a male or female?